Bobby has been a part of our Taylor King team for almost two years. He has served as a case manager and is now a litigation assistant in our North Little Rock office. Outside of work, Bobby enjoys spending time with his wife, Jill. They love singing together, exploring Arkansas, and going on an occasional road trip to see their favorite musical, Hamilton. If he were to win the lottery, he and Jill would pack their bags and travel the world! Considering how much Bobby loves music, he most likely wouldn’t leave the house without his favorite albums as well. 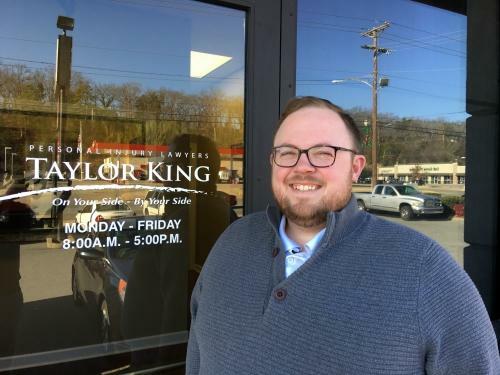 Favorite Thing about Working at Taylor King Law: Knowing the company genuinely cares about its clients and employees.